Video marketing has been a big part of advertising since the early days of television. So why is it still a big deal, and how can you innovate on a strategy used by almost every brand in the world? If the above stats do anything, they demonstrate the growing importance of creating video content to remain relevant to your audience. Most people know this already, and have already started generating engaging content through social media. But how can you make your content stand out when everybody and their cousin are making videos? 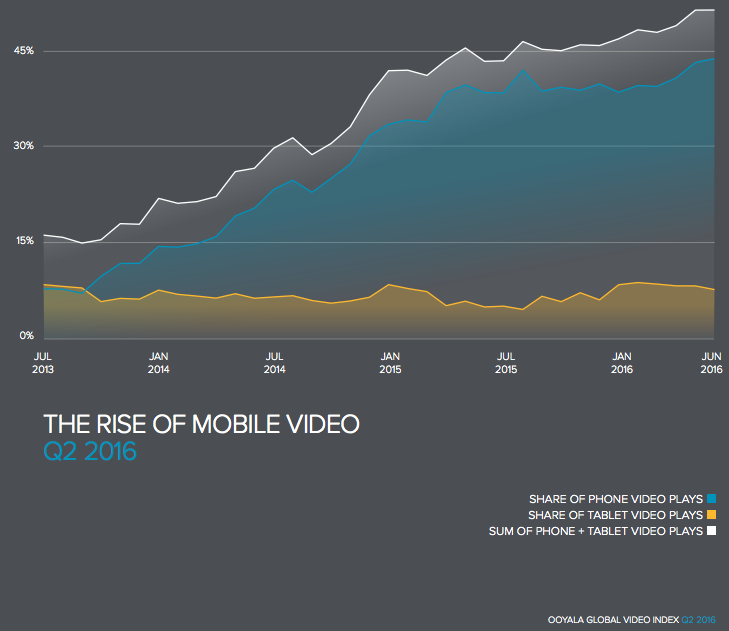 There’s nothing more ineffective than a video that sends multiple messages. If you want your video content to encourage engagement, make sure your content is clear, direct, and actionable. An example of this might be to include a verbal prompt to purchase a product from your online store. You reinforce this same call to action with a short link to your online store at the end of your video. Some marketers believe it’s important to include several CTAs on the presumption that it will lead to more conversions. But if your audience is not clear on what you are asking them to do they won’t do anything at all. This one is tricky depending on the length of your video. If your video is short, add a transcript because it will help search engines like Google index your video. It also makes your videos accessible to an audience who cannot consume audio. Some video content creators have even gone as far as to add captions. Having video content on your website increases engagement, improves the SEO for your site and video, and builds on the authenticity of your brand. Learn how to embed videos with this short guide from Google. Sure, one social channel is usually not like the other (Facebook vs Snapchat), but why create new content for each platform if you can simply reformat to share the same content to all your audiences on social? Rather than recording your video within a social network, record your video on a standard device such as a smartphone, or camera, and then upload individually to each platform. If you’re going Live, pick the social network where you have the most engagement for live videos, but advertise across your social channels with a pre-recoded sneak peek video. Of course, different scenarios require different video lengths. The best rule of thumb is to consider whether you would watch a 15 minute video. Be brutal in your editing process. Save your deleted footage for outtakes, or a later “roundup” piece. When you include keywords and a description with your video it helps search engines like Google and Bing to identify your content and match it relevant search queries. Try not to be too vague. Remember long-tail keywords are easier to rank for, and will attract a more targeted audience. The best way to explain rich snippet and rich cards is to show you an example. When you “mark up” your content you help Google understand how to better display your content to search engine users. This is a bit technical but if you have a friendly developer get them to help you with this – it will help your content stand out from the crowd! 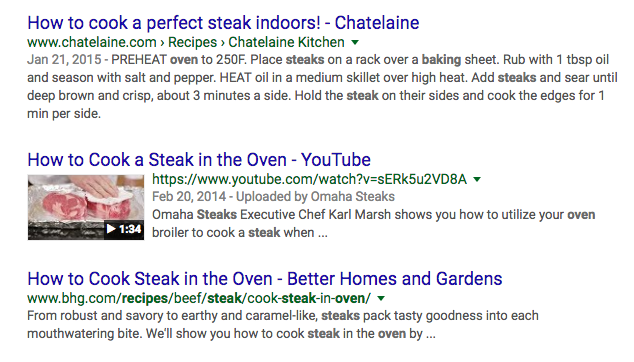 Here are some tips from Google on how to mark up your content. Technology changes *fast*, and if you want your video content to become evergreen you need to continue refreshing your older videos with updated optimizations. Include new keywords, updates old SEO practices with new ones, and change your thumbnail photos for better resolution graphics. Online video content isn’t just about “selling” a product to the viewer, but rather making an emotional connection with them, boosting brand awareness, and encouraging engagements with the content. One of the most important ways you can optimize your videos is to listen to the feedback of your audience. Learn more about what your audience wants to see based on comments, views, demographics, and other metrics made available through analytics apps. Read this article on YouTube Analytics basics to get started.